Spokane Washington and McCook Illinois: View of Swindell-Dressler brochure highlighting the Electric Furnaces designed, constructed and installed in two Alcoa plants during World War II. 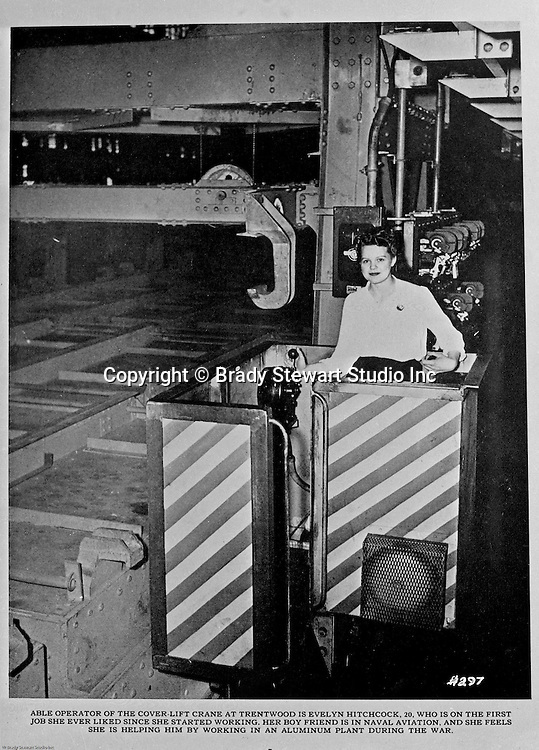 The caption reads: Able operator of the cover-lift crane at Trentwood is Evelyn Hitchcock, 20. Who is on the first job she ever liked since she started working. Her boy friend is in Naval Aviation, and she feels she is helping him by working in an Aluminum plant during the war.